It is a seductive coupe prototype design and about 6 meters long, which is combined with a luxurious and innovative interior, and an engine with an electric motor for each wheel that provide 750 horses. 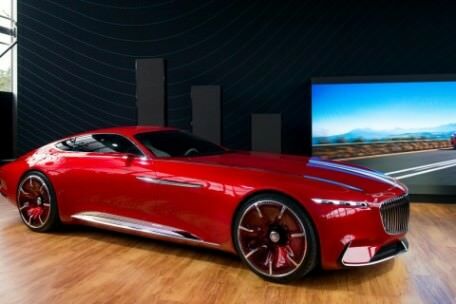 Mercedes-Maybach, the luxury brand Daimler presented in Europe Vision Mercedes-Maybach 6, a concept car that shows the potential and a possible coupe model with much luxury. As it is standard in the house, the car stands out for its elegance both outside and indoors. In the first case, uses a coupe body with an endless hood and roundness that you feel really good. In the exterior also stands out for its generous size, as to the length of 5.70 meters adds a width of 2.10 and a little height of 1.33. And the tires are no less spectacular with its 24 inches in diameter. The interior, which is accessed through the doors opening up “gull wing” type, no slouch with its modern and futuristic style. It also has a plate which joins the front seats through the doors and completely digital information. Under the hood there are two exclusive bags for the model. On the side of the mechanical part, the Mercedes-Maybach 6 features four electric motors, one unit for each of the wheels. Of this form, the traction is integral, while the total power is located in the 750 horses. If we talk about performance, this luxury coupe with supercar power can accelerate from zero to 100 km/h in less than four seconds and reach 250 km/h maximum speed (electronically limited). As for the battery, it is located on the ground and gives autonomy more than 500 kilometers, while the combined charging system to retrieve energy to cover approximately 100 km with just 5 minutes of charging. To recharge the battery you can also use a cable in a conventional household outlet or a public charging station and the wireless charging system, i.e. without cables. 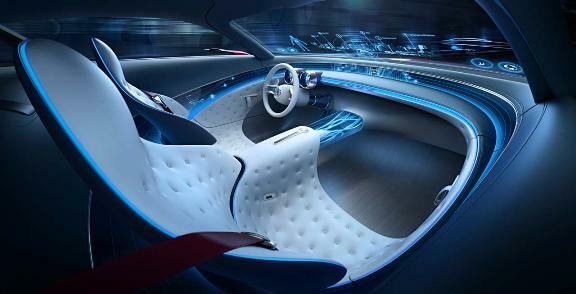 Thus, Mercedes-Maybach could anticipate their next steps. True to its tradition, will be filled with luxury and sophistication. Now just wait the announcement of its forthcoming production model. Is it a coupe?